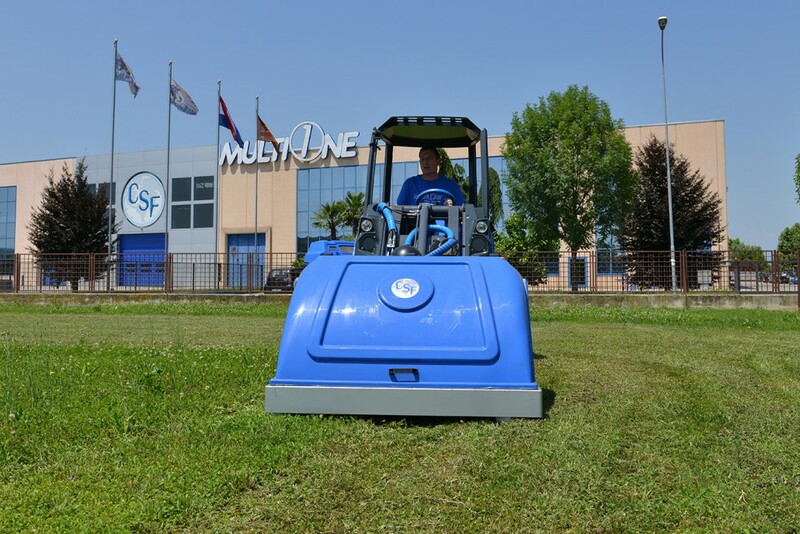 Need to mow and leave a clean finish, but hate dealing with bags? 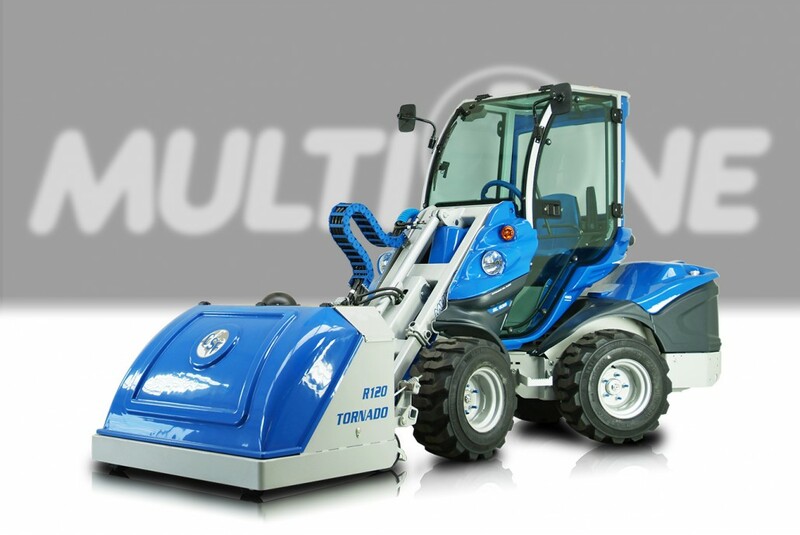 The MultiOne Tornado lawn mower attachment is a combination mower and dump bucket, collecting clippings in a solid bin as it cuts for easy disposal. 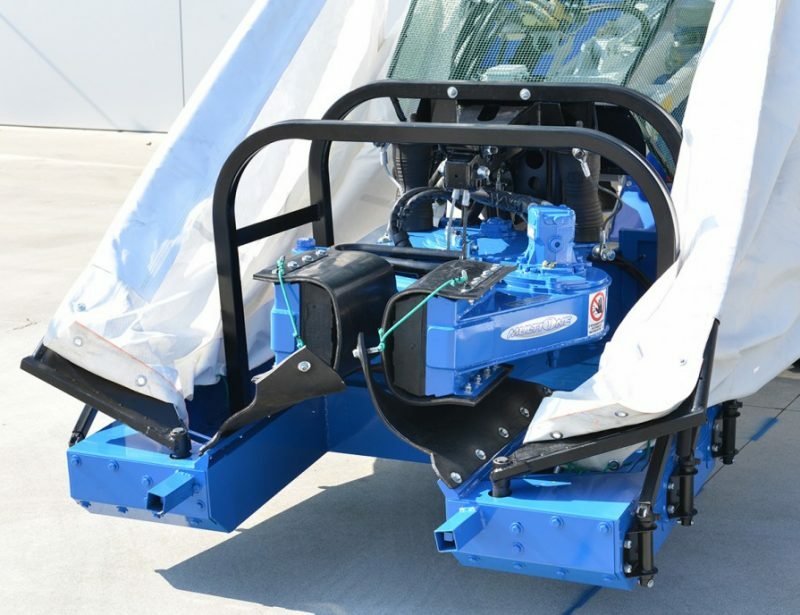 The Tornado’s odd deck shape is due to a unique design that integrates the deck and collection bin into a single housing. 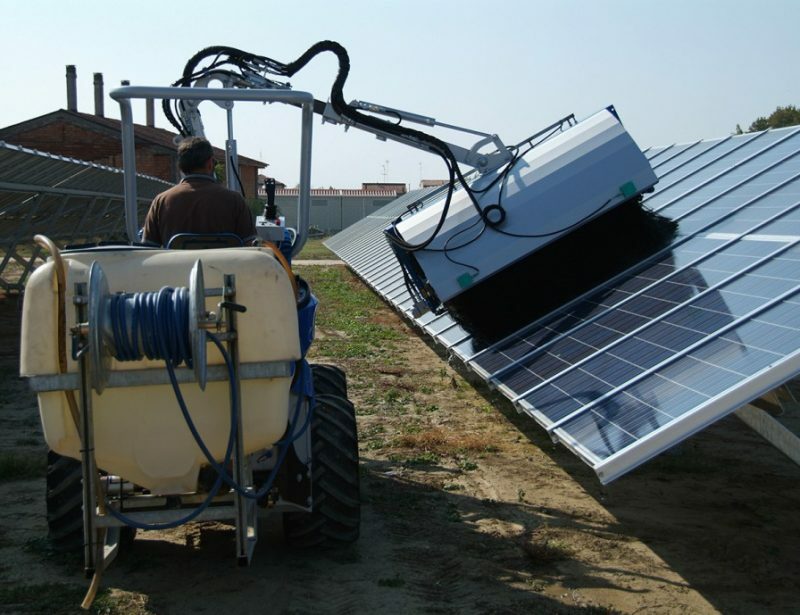 Since the bin is solid, it doesn’t clog up like clipping bags, nor does it spread dust as it mows. 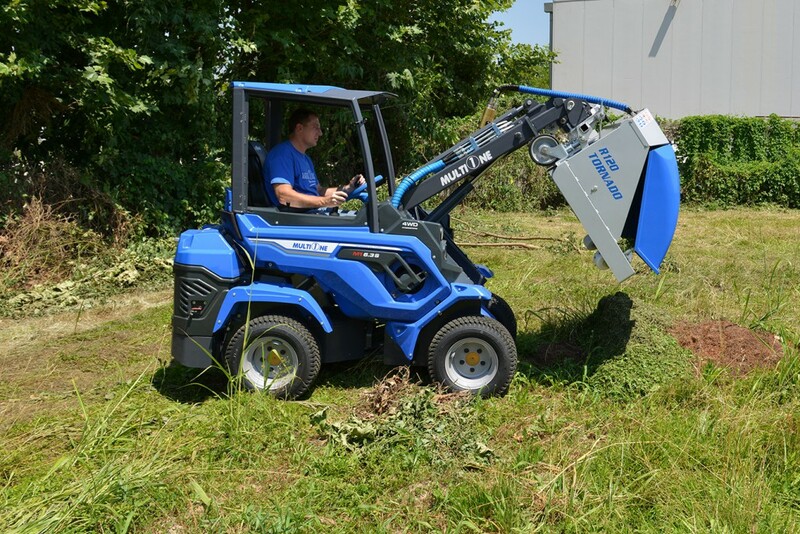 The bin is designed to open from the front, letting this attachment be used like a dump bucket, depositing clippings into a trailer once it’s full for easy disposal. 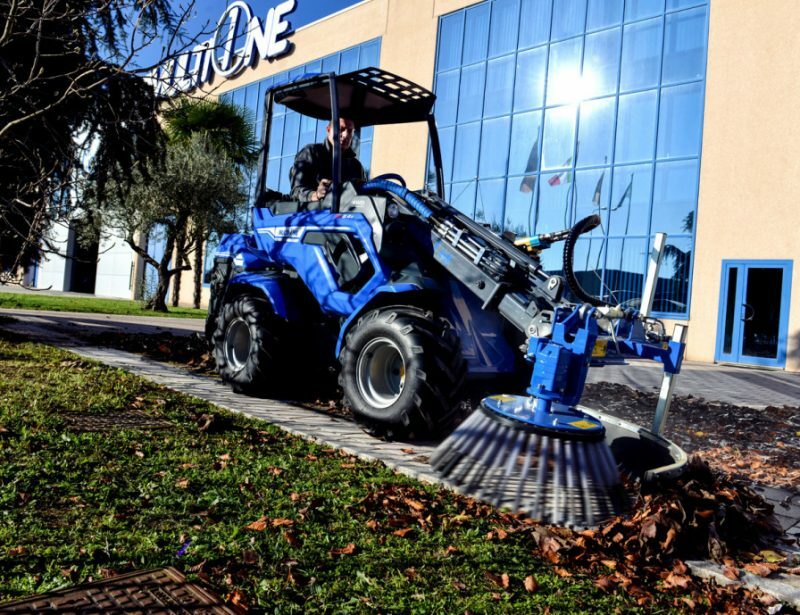 Need to pick up fall leaves? 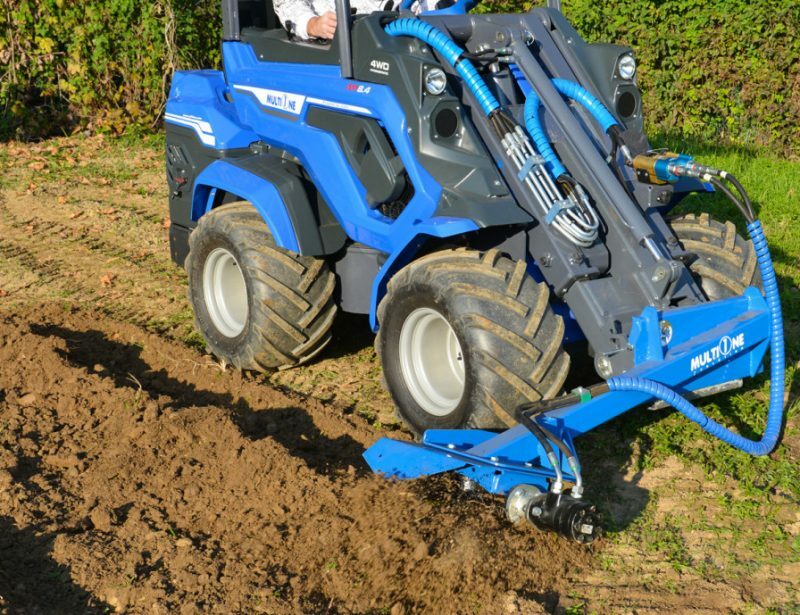 This mower works just as well on leaves as it does on grass. 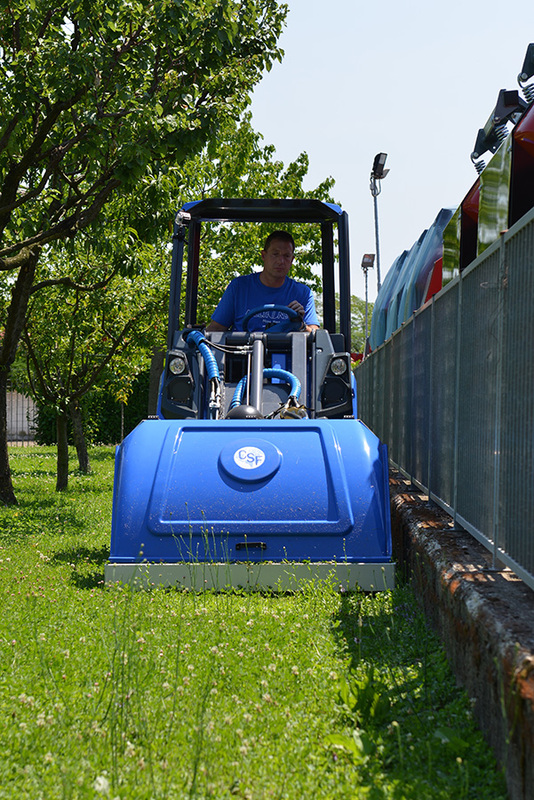 The tornado lawn mower is available in two versions: the 120 and 150. 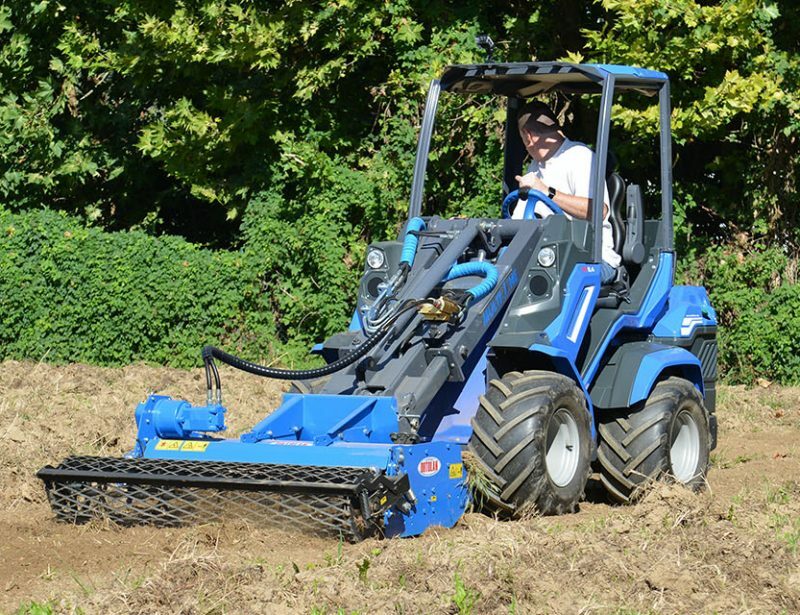 The 120 has a 47.2 inch (120 cm) wide deck and is compatible with 5 Series and larger loaders. 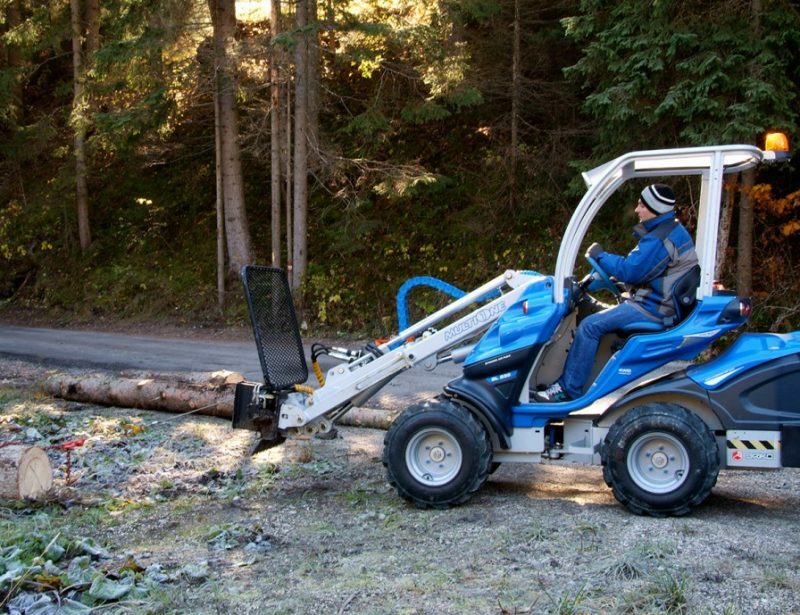 The 150 has a 59 inch (150 cm) wide deck and is compatible with 5 Series and larger loaders, although a 7 Series or larger loader is recommended. 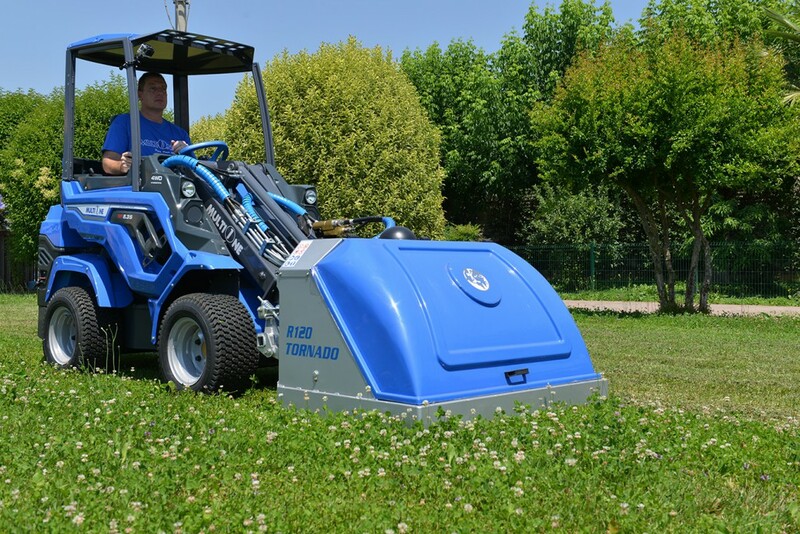 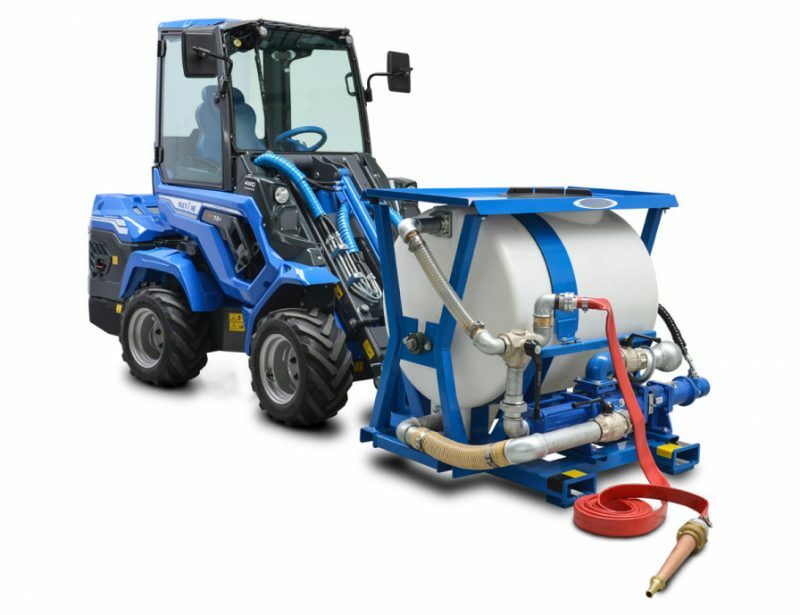 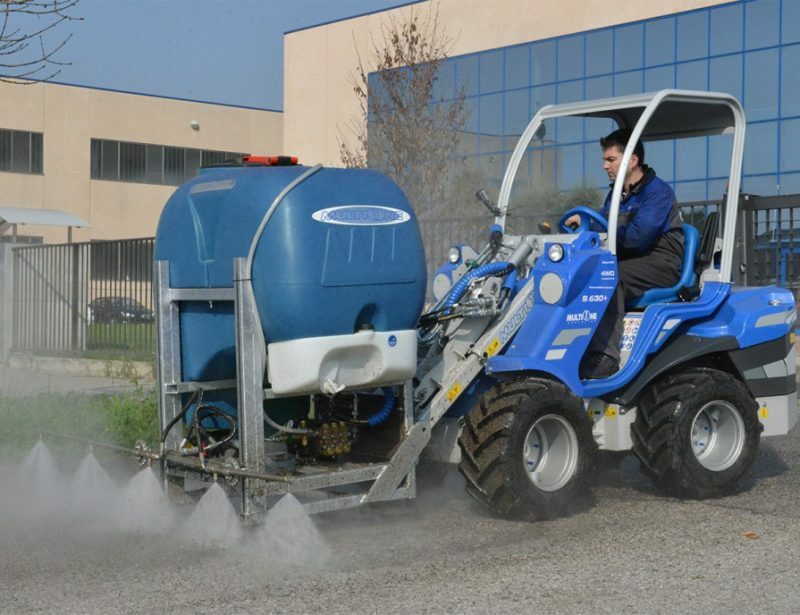 Both models use three cutting blades, can adjust to a cutting height between 0.4 and 5 inches (1-12 cm), and can hold up to 8.8 cubic feet (250 liters) of clippings.